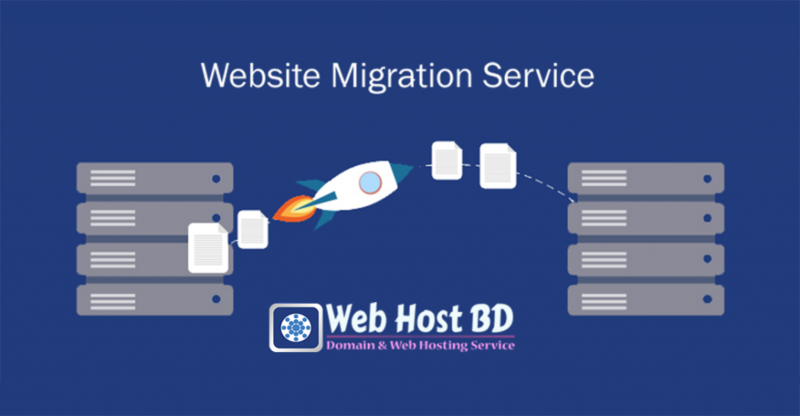 Web Host BD provides Website migration service in Bangladesh. Our professional web developers will migrateyour allwebsite Data with emails. After migration, we will ensure everything is working properly on your new server. You may need to migrate your website for different reasons. For some reason, your website may need to move from one hosting serviceprovider to another hosting service provider. If someone wants to come from any other hosting service provider to Web Host BD then Website migration is totally free. We provide different type of migration. Old Hosting Service Provider to New Hosting Service Provider. Old Domain to New Domain. A website migration redirects all of your old Web Pages to new pages.There are a number of cases where the extent of the migration goes deeper, including switching servers, CMS platforms, and the creation or consolidation of various branded sub domains, but quite often refers to a switching over of site domains. So, Website migrations are very important. Not carrying out a migration could mean the near total loss of your rankings and traffic, which can all add up to one massive chunk of lost business when your new site goes live. Web Host BD provides the service and support 24 hours a day 7 days a week. We’re satisfied of what we do and we prove it by providing great service at a good value.